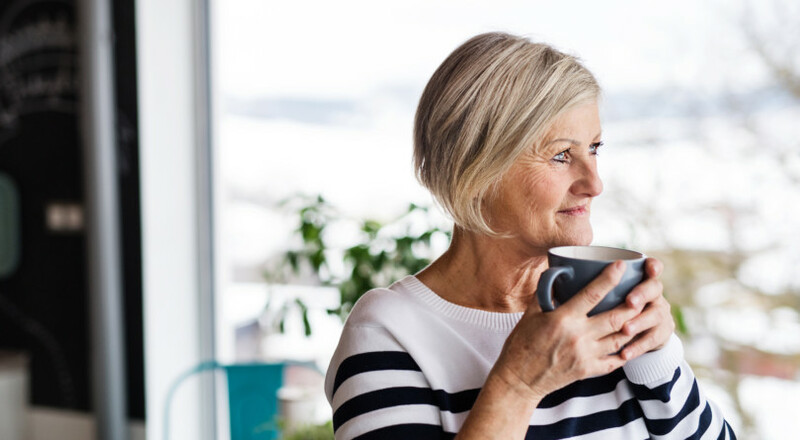 As you may know, Lydia, a Registered Retirement Income Fund (RRIF) can be left on your death to a surviving spouse or common-law partner on a tax-deferred basis. In certain instances, a RRIF can also be left to a financially dependent child or grandchild. They must live with you, be dependent upon you, and have an income below the basic personal exemption in the year of your death. If these conditions apply, some or all of the value of your RRIF can be taxed on their tax return instead of having all of it taxed on your tax return. There is also an option to use the funds in your RRIF to purchase a term certain annuity that pays an annual income through a minor child or grandchild’s age 18. The typical result upon the death of a single retiree is full taxation of the RRIF value on their final tax return, along with any other income sources for the year. In your case, Lydia, ignoring any other income sources, deductions or tax credits, a $265,000 RRIF could be subject to anywhere from $88,000 to $111,000 of tax, depending on your province or territory of residence. This is an average tax rate of 33 to 42 per cent of your RRIF value. None of us knows how long we will live, and that makes retirement, tax, and estate planning a challenging exercise. If you could withdraw a $265,000 RRIF over two years, your tax payable would be only about $66,000 to $90,000, or 25 to 34 per cent, again depending on where in Canada you live. If that RRIF were withdrawn over three or more years, Lydia, due to the progressive tax rate system we have, that RRIF income tax rate could be even lower. The point is there may be an opportunity to draw down more of your RRIF over several years rather than just taking the minimum withdrawal and leaving a large residual value. You mentioned you are taking about $12,000 per year currently but based on a $265,000 RRIF value and your current age of 81, I suspect your minimum withdrawal for this year is about 7.08 per cent of that value or about $18,500 gross. Your financial institution doesn’t need to withhold tax if you’re just taking the minimum RRIF withdrawal, but perhaps you’ve asked for a 35 per cent tax rate, which would leave a little more than $12,000 net per year. So, my first suggestion might be to consider increasing your withdrawals from the minimum required withdrawal from your RRIF. How much? Even if your RRIF earned a 0 per cent return, $265,000 divided by 10 is $26,500 per year, right? An 81-year old woman has more than a 50 per cent chance of living 10 more years. And depending on your own opinion of your life expectancy, your other sources of income, and your tax deductions and credits, you could consider even higher annual withdrawals. You really do need to consider all the tax factors though, Lydia, including the potential loss of government benefits. My second suggestion would be to consider consolidating your RRIF accounts. You mentioned you have them at two different financial institutions. At 81, I would be looking to simplify life, and this can also simplify things eventually for the executors of your estate. My third suggestion would be to consider whether the mutual fund investments in your RRIF are good investments. Good has many connotations. Are they appropriate for an 81-year old in terms of your risk tolerance? Are the fees reasonable? I am only guessing here, but low-risk mutual funds for an 81-year old probably include a lot of fixed income. As we all know, fixed income (bond) returns are low right now because interest rates are low. It is not uncommon for mutual fund fees (management expense ratios or MERs) to be close to the return you could earn from a mutual fund’s bond holdings. If your fees equal your interest income on your mutual fund’s investments, that leaves zero net return for you as an investor. My fourth suggestion would be to ensure your beneficiary designations are correct on your RRIF accounts. If your beneficiary is your estate, the RRIF account will be paid into your estate and distributed based on the instructions in your will. If your beneficiary is an individual or individuals, the account will be paid to them more efficiently and avoid being subject to administrative delays or probate. Probate is a process (at a cost to the provincial government) to validate your will and allow your executor to distribute your estate to the beneficiaries (often those people are one in the same). One risk of naming beneficiaries on your RRIF instead of just naming your estate is that if one of those beneficiaries dies before you, however unlikely, their share may not be dealt with appropriately. As an example, if you want your RRIF to go to your two children, name them as equal RRIF beneficiaries, and one of those children dies, the RRIF may go solely to the surviving child. But if the RRIF was payable to your estate instead, your will could ensure your deceased child’s share went to their surviving children (your grandchildren). These are some of the considerations I’d be contemplating if I were you, Lydia. Hopefully, my thoughts are helpful and encourage discussion with your family or your financial, tax, and estate professionals.